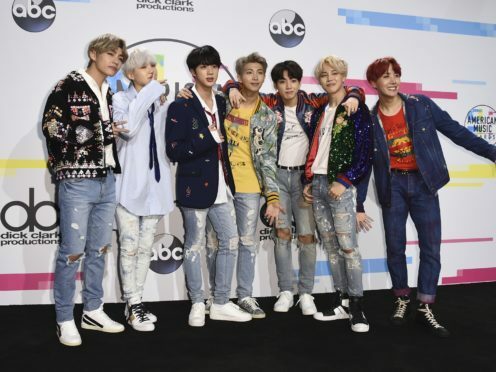 South Korean boy band BTS have delighted fans with the release of the video for new single Fake Love. The group became the first K-pop band to break into the top 10 of the US album charts in November 2017. After previewing the video’s release with two short trailers earlier this week, the band have put out the full five-minute version. It sees the seven-piece group perform dance routines in a series of colourful, elaborately-designed sets. Within an hour of it being posted on YouTube the promotional clip had attracted 1.2 million likes. The video for Fake Love has prompted a huge global reaction from BTS’s 10.8 million Twitter followers, with #FakeLoveFriday trending on the social media site in the UK following its release on Friday morning. The band have also released their new album Love Yourself: Tear. It is the follow-up to their previous Korean language studio album Wings in 2016. The group have also released three full-length albums with tracks performed in Japanese. BTS’ first release to chart in the UK was EP Love Yourself: Her in September 2017, which peaked at number 14 on the Official Albums Chart. Last month it was announced they would play two live shows at the O2 Arena in London on October 9 and 10 as part of their world tour.